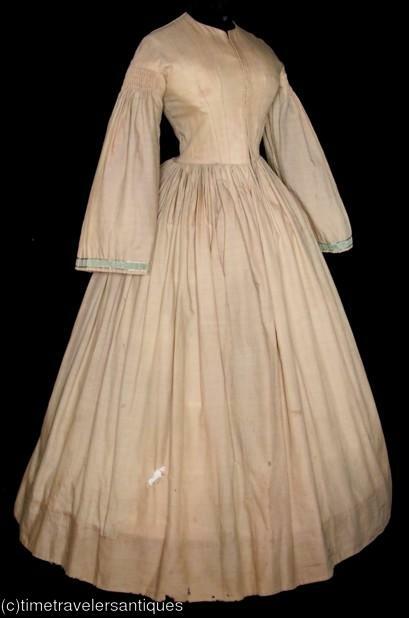 Relisted due to a non paying bidder, an original circa 1850's lady's golden tan silk one piece day dress being offered for study. 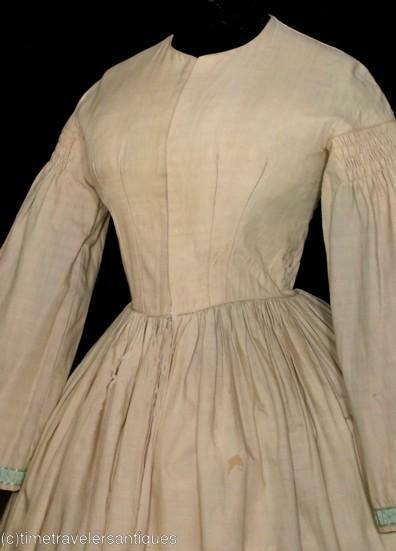 A stayed and lined bodice with a blind front hook and eye closure, piped at the neckline, the shoulder tops, and at the gaged tops of the full sleeves with moire' ribbon bands at the cuffs. A piped cartridge pleated waistband, an unlined skirt with a side slit pocket, and a deep faced turned hem. A 34" bust, 24" waist, and 54" from shoulder to front hem. Offered for study, in sound as found condition, with light perspiration to the lining of the armscyes, some small light scattered spots, most to the back of one shoulder and above the hem, some light dusty soiling at the hem, wear to the crease of the skirt's hem, some small scattered holes above the hem, one 1" by 2" hole, one 3" by 3" poor mend at the back of the skirt, and some mends at the hem crease. Shown over a hoop skirt that is not included. 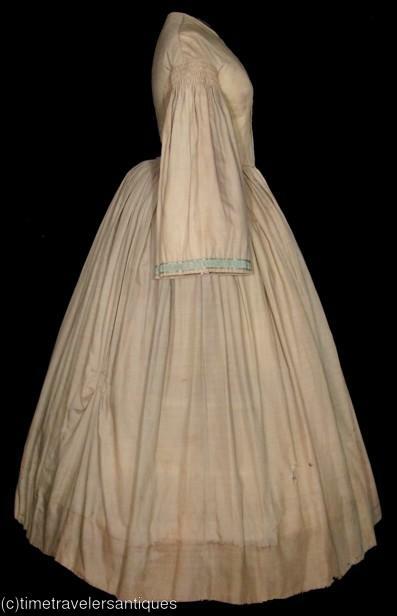 All is reflected in reserve price for this pre Civil War period study dress. 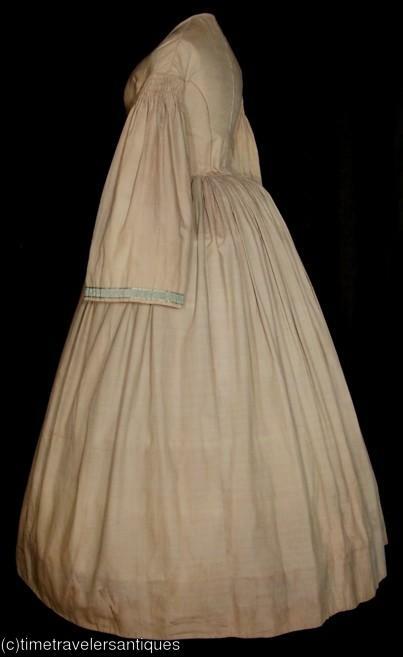 Although the seller believes this to be 1850's, I think, based on the waistline, this is actually 1860's. Either way, it just ante-bellum or at the very start of the American Civil War.